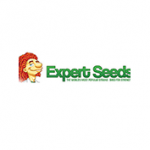 Expert Seeds - White Gold. Free US delivery. White Gold is an unusual cross of Grapefruit (C99) and Ice (Skunk x White Widow). Grapefruit is a classic, happy-high sativa strain and Ice is a powerful strain with pain-killing properties. Such a combination of qualities was bound to be a very useful medical marijuana strain. White Gold grows to reach a height of approximately 1.2 meters. Long, sativa-style buds will be ready to harvest in 8 weeks indoors, September outdoors. Yields are very good: 550 - 650 gr/m2 indoors and up to 1000 gr/plant outdoors. The perfume of White Gold is quite special combining Grapefruit's fruitiness with the black hash aromas of Ice.